Sparkly Cupcakes ~ A simple vanilla cupcake topped with Vanilla Bean frosting and drizzled with festive vanilla syrup. Call me the Independence Day Scrooge but I dislike fireworks. Don’t get me wrong- they are pretty from afar but I just don’t think my life would be incomplete without ever having to deal with them myself. I don’t like playing with fire. I don’t like when my neighbors play with fire for weeks and weeks after July 4th has come and gone. I think this all stems back from an ill-fated night when as a child I was struck with a fire cracker. Not only was I scared and jumpy after that incident but as a girl I was furious that MY HAIR CAUGHT ON FIRE because somebody pointed their firecracker the wrong direction. And let’s be real here. A sparkly cupcake is adorable and all. But it lasts about 2.5 seconds. And it’s fire. And we’ve already discussed how I feel about fire. If you choose to use sparklers there is also the chance that your cupcake will be covered in ashes and that makes for a sad cupcake. As an alternative I used these festive straws (found at Target) and the sparkle lasts more than 2.5 seconds. Even if you’re not into setting your cupcakes on fire you must try this vanilla bean frosting! It is fluffy and delicious and so pretty piled high on top of simple vanilla cupcakes. I also drizzled the cupcakes with some festive vanilla syrup. Each layer of flavor is working together to make these sparkly cupcakes the star of your July 4th celebration. Fluffy vanilla bean frosting and vanilla syrup- sometimes simple is best. Cream the butter until light and pale (about 5 minutes). Add remaining ingredients and mix on medium speed until light and fluffy (about 4 minutes). This party is being hosted by 24 fabulous dessert bloggers. 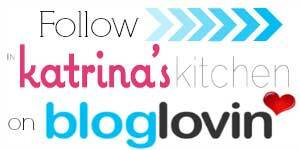 If you enjoy reading In Katrina’s Kitchen I guarantee that you will love these sweet sites! I hope you check them out. 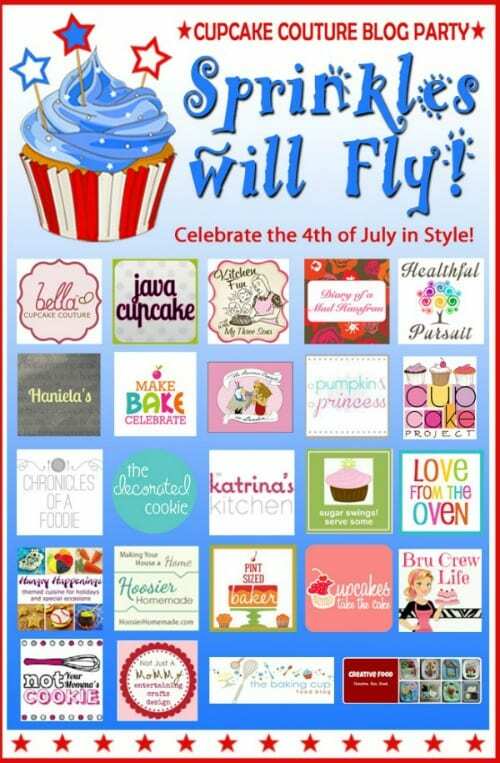 Each participating blogger is using a different Bella Cupcake Couture decorative cupcake wrapper. One winner will receive a prize pack containing EVERY wrapper design we used along with some other fabulous prizes! To enter to WIN this Prize Pack, simply leave a comment and fill out the entry form below. All other Bonus entries are OPTIONAL. By entering this giveaway you are agreeing to the Official Rules. Love these! They are so fun and perfect for the 4th (of course!). Thanks for sharing. Hope you have a good holiday, it’s seriously sneaking up on me! Kind of bittersweet…glad it’s summer but don’t want it to ever leave! Tell me about it- I can’t believe we are coming up on July! I love the Olivia Swirl wrappers, especially the navy. 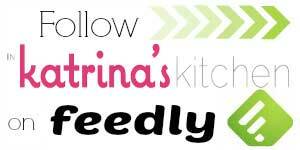 I also hope to try your recipe! OMG! Fireworks!! I hoped someone would top their cupcakes with sparklers! LOVE IT!!! Great job, Katrina!! Yay! I’m glad you like them. Thanks for inviting me to the party!! These are so fun! And those wrappers are too cute! I never liked them as a kid either. I was the odd kid who didn’t want to hold one. Oh my gosh, these are adorable. So festive! 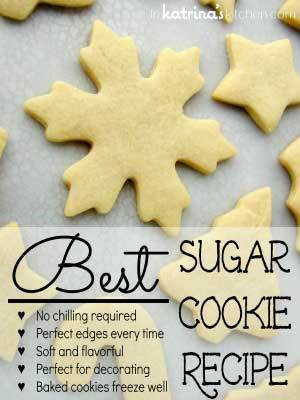 I have a family that would go crazy for these! Thanks Cassie! Now I have 2 little boys who want more sparklers. I’m not a huge fan of fireworks either, they just don’t move me much. But I do love your cuppy cakes! And I can’t get over your glittery marshmallows!!! Caught your hair on fire!!! I’d hate fireworks too. The festive straws work perfectly as a safe cupcake topper. Fireworks in your hair is NOT something I would recommend! How fun! Really love your frosting too! I think the sparkler on top is so fun, but I wondered how much ash would happen!!! They look fab though!!! That fluffy frosting is so pretty and I seriously want to dig a spoon into it!!! I need to find those fireworks straws because I love them!!! It wasn’t actually a ton of ash. But I still wouldn’t be interested in ingesting an ashy cupcake! I love these! So festive and fun 🙂 I love cupcakes, and have been looking for a really good vanilla one. I like the Patriotic Stars and Stripes wrappers. They would be so perfect for out 4th of July party this year! I’m sorry you had a bad fireworks experience! However, your cupcakes are lovely! I love the drizzled colorful vanilla syrup! I never thought I was a fireworks person until I moved to the land of no fireworks. Boohoo. Although, I think getting hit with one would turn me off forever too! These cupcakes are adorable! I hope I still have some of those firework-thingies from last year! Love these!! So festive and colorful!! Perfect way to celebrate the 4th! I love the Olivia swirl in Navy. Perfect for 4th of July! and I really want to try these cupcakes!!! Oh what fun, sparklers make everything even more awesome!! Love love love the colorful vanilla drizzle! I really like the idea of a vanilla syrup drizzled on top! I agree, these are much cute (and safer) than real sparklers. OMG you poor thing I cant believe your hair was on fire! Ah!! I honestly like your wrappers best, they’re so pretty! Thankfully I was okay. But yes it was not fun! ok 1) with you on sparklers – just went to a wedding and there was almost an incident with a bridesmaid catching on fire 2) that icing sounds amazeballs!! so cool. I hope you try the frosting. It was delicious! I liked the sparkly one but the alternative was pretty and fun too. Thanks! I love fireworks… on the actual night of the 4th! I can’t stand hearing them in the neighborhood for days on after. It sounds like a drive-by shooting in the middle of the night, which freaks me, uh I mean my dog, out. Awesome cupcake though! I much prefer your Target sparkler alternative. 🙂 Have a wonderful 4th! Right?! You get a pass on the 4th. After that it’s just noise. Super cute! Love the sparkler in the cupcake! The frosting sounds delish, I’ve never used “real” vanilla beans. Oh Liz you must try to get your hands on some vanilla beans!! 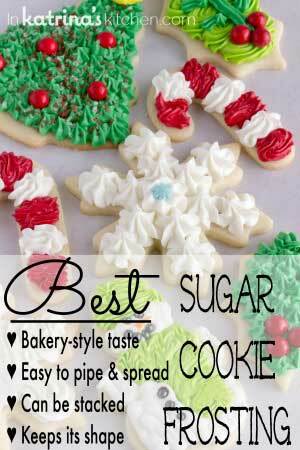 These look so fun and festive. Very elegant and fitting for any Fourth of July party. Thank you again for participating. Thank you for the beautiful cupcake wrappers! How fun! 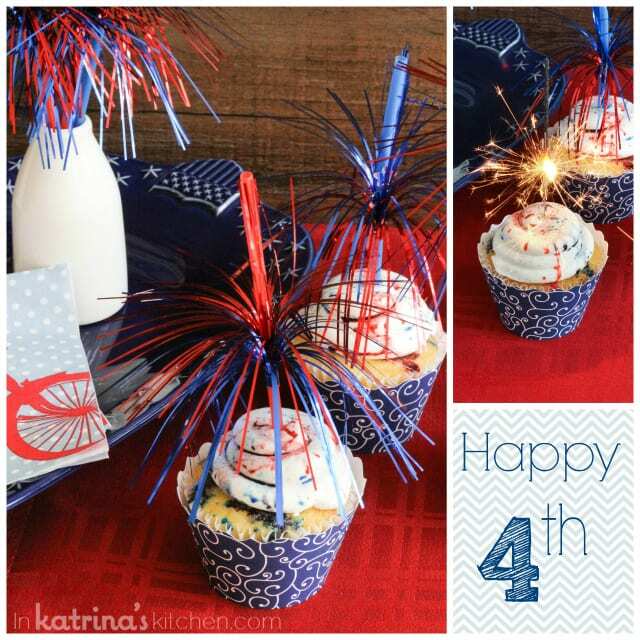 Sparkler is a great touch to this festive cupcake! While I can imagine how scary it was to have your hair catch on fire, I thought this post was funny! You are so right, sparklers are the biggest gip! You get excited once they light up but they fizzle so quickly! They do make for a cute cupcake though! I was thinking of your sparkly pancakes as I was shooting these. What a fun treat for the Fourth! 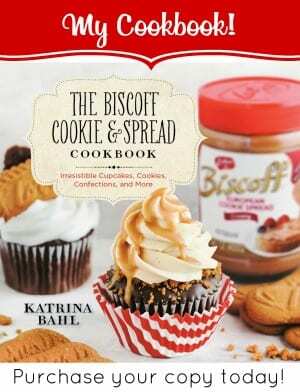 These are incredible, Katrina! What a fun cupcake! Love those straws! 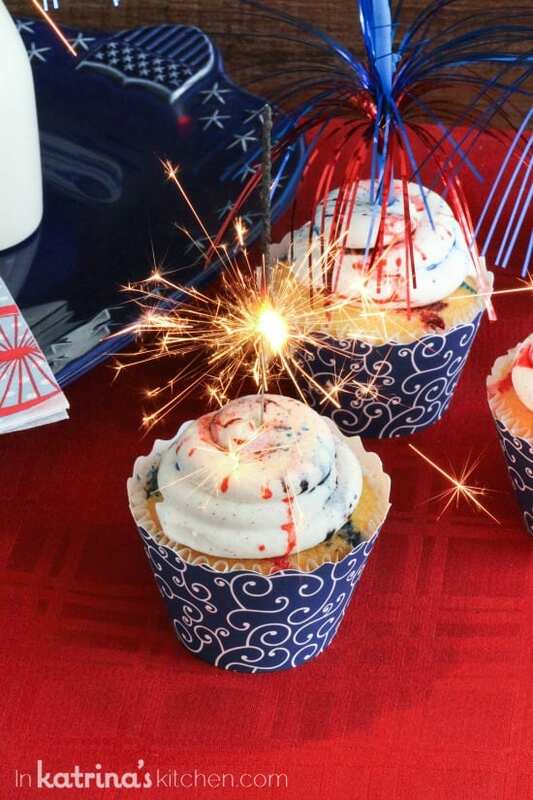 These are the perfect July 4th festive cupcakes. Beautiful! Those are SO cute!!!! 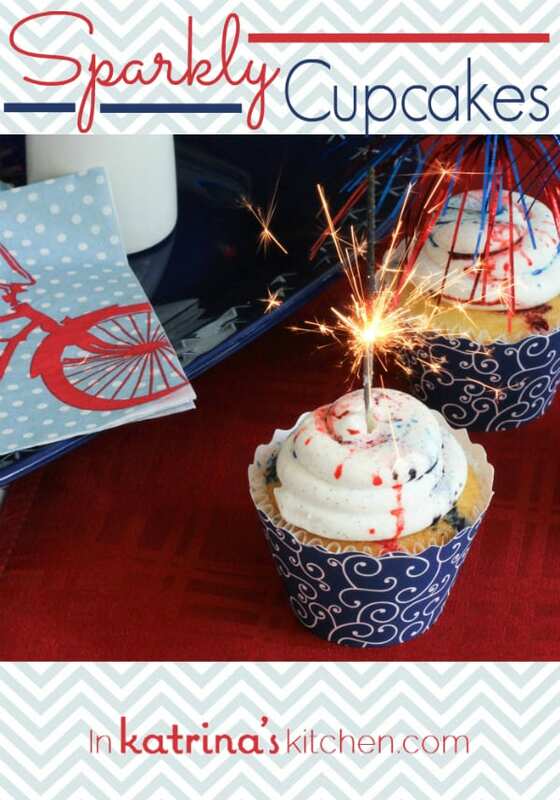 I just love how festive these are, will pin them for our 4th of July celebration! No wonder you are scared of fireworks. I wouldn’t be near them either. I would get the olivia swirl. I do love the big, industrial fireworks in the sky shows…and your cupcakes! I do love fireworks, that is my favorite part of the 4th! But, given your experience, I am sure I wouldn’t enjoy them much anymore either. The festive straws are way better in my opinion – super cute cupcakes! I know I know. I’m a scrooge. Maybe it’s not the big fireworks from far away that I don’t like. But the smalltown neighborhood ones annoy me and make me jumpy!